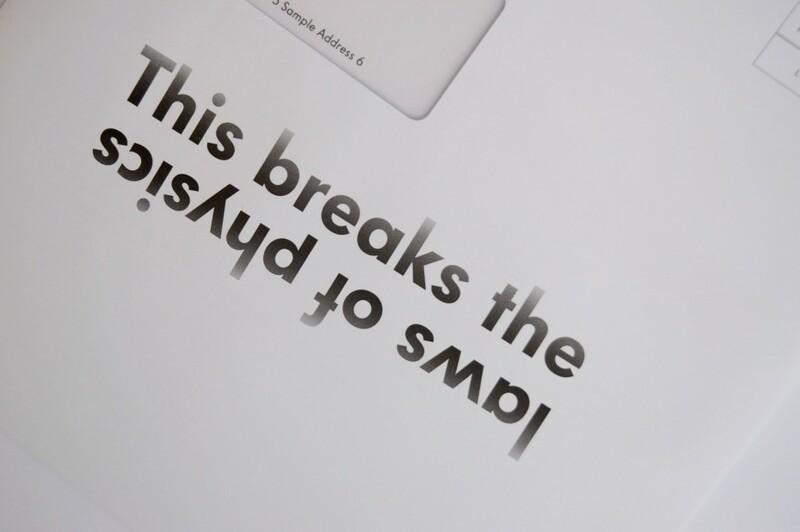 This direct mail campaign’s concept played with the laws of physics to show how things can go up and down at the same time! The reason being that VW and VW Bank were offering a lower APR on finance the higher spec car customers purchased. An intriguing line on our outer drew recipient in to the piece. Then an unusual brochure format physically brings the idea to life in a way that clearly heroes VW’s lowering APR when customers go for a higher spec vehicle. Close up detail images spur the recipient to go for a higher spec than maybe they would have normally gone for.